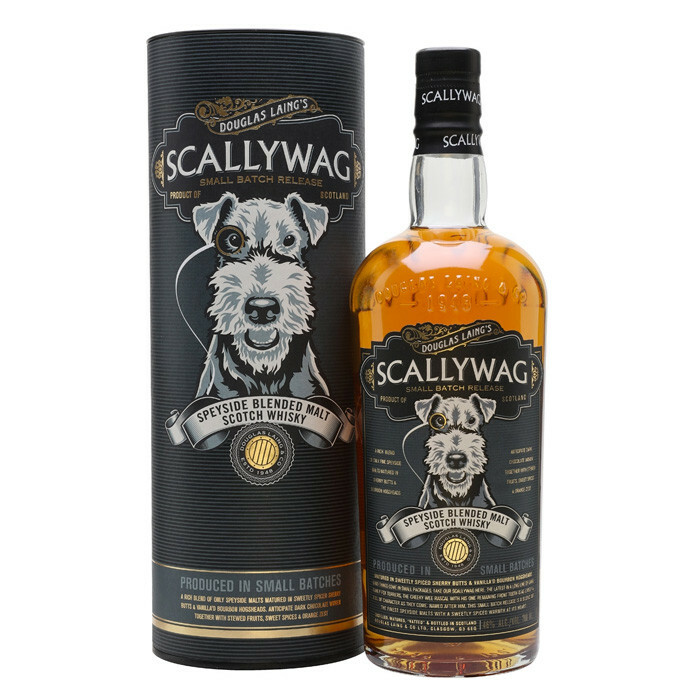 Scallywag from Douglas Laing is a vatted malt made from Speyside whiskies, including Mortlach, Macallan and Glenrothes. Many of the whiskies used in the small batch release come from Spanish sherry butts, giving Scallywag a fab sweetness that's balanced by some "mischievous" bourbon cask whisky also in the blend. Nose: Sweetness jumps up like an excited puppy. Icing sugar, sultanas and candied ginger. A few hints of grain here and there, but sweetness steals the show. Palate: The sweetness surprisingly retreats, revealing nutmeg and cereal. Vanilla comes in near the end. Cinnamon too, giving it a prickle of spice. Finish: A pinch of oak spice joins the vanilla and sherry for the finish. Overall: Incredibly pleasant, the Scallywag is an absolute treat in every sense.